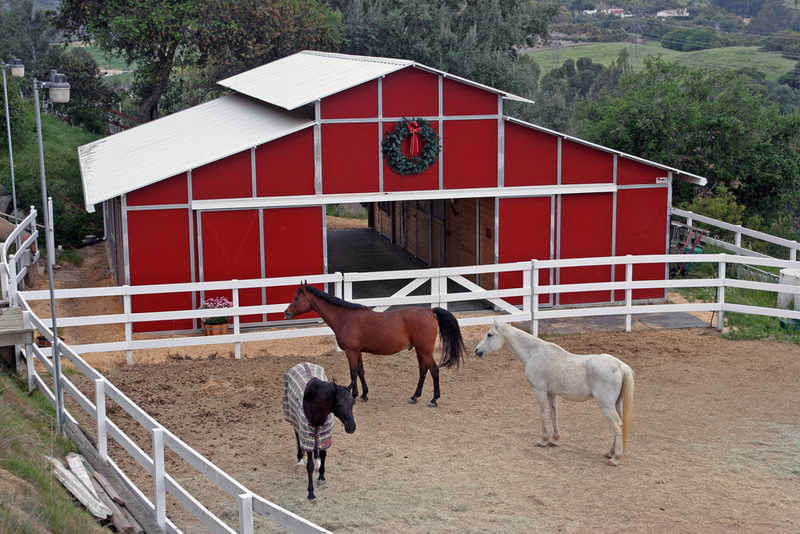 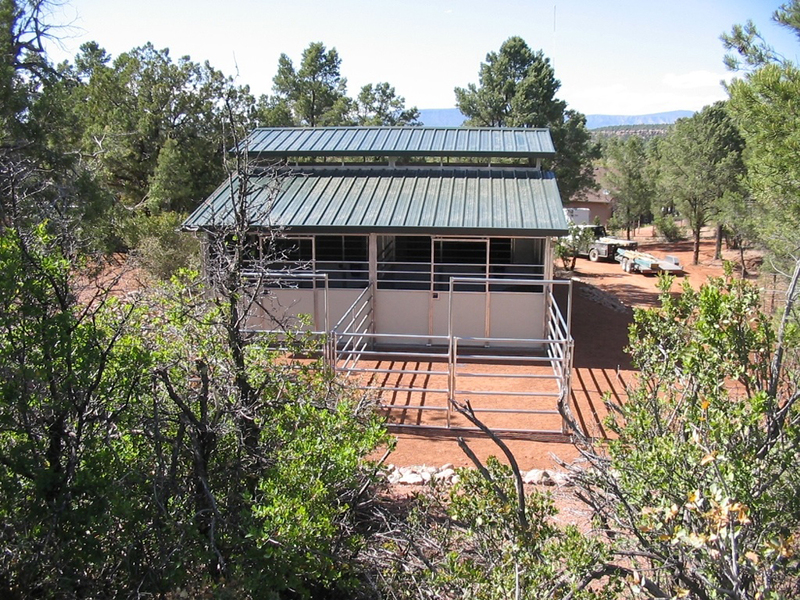 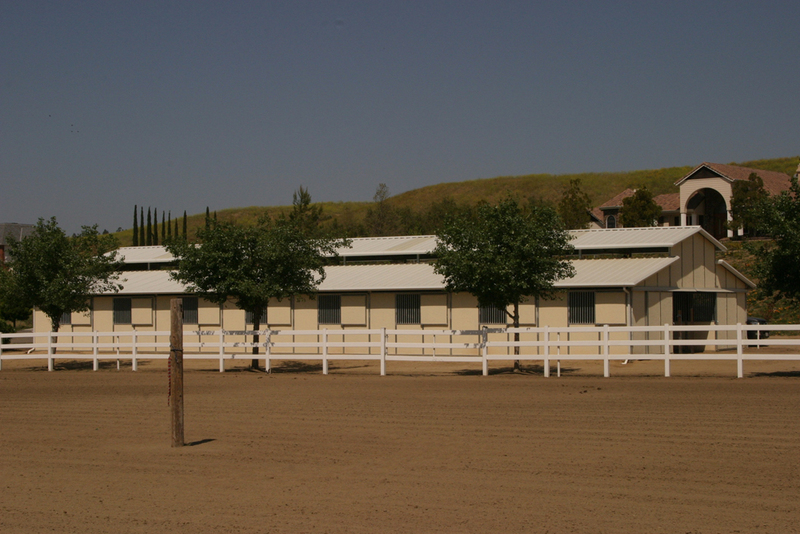 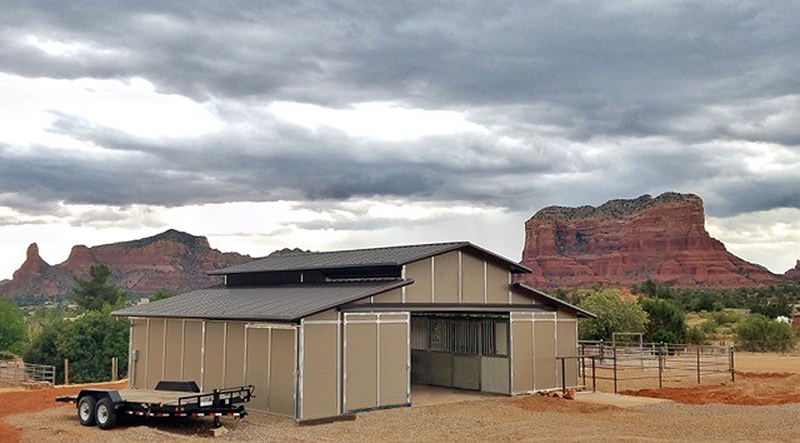 FCP’s “Raised Center Aisle” horse barns, also known as “RCA” or “Monitor” barns, feature attractive architectural lines, making this style the most popular among horse enthusiasts. 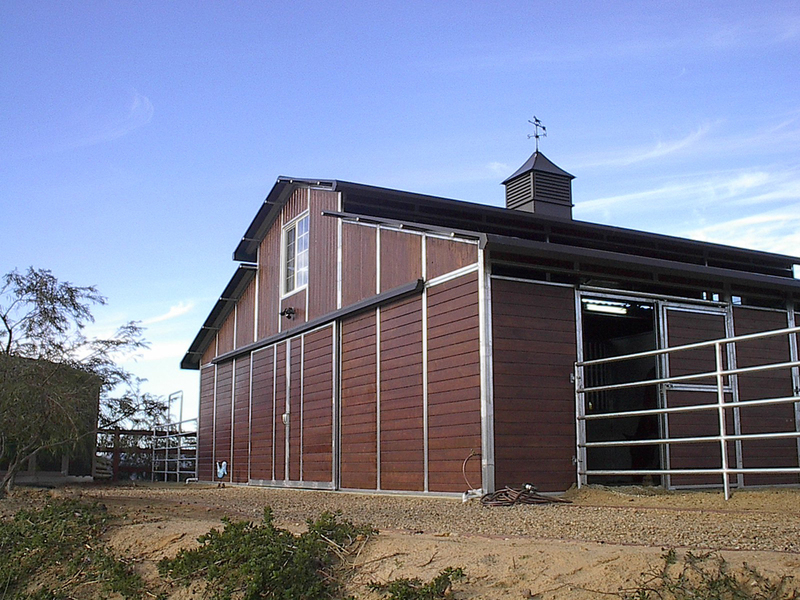 The traditional look allows for maximum air circulation throughout the structure even in the most diverse weather conditions. 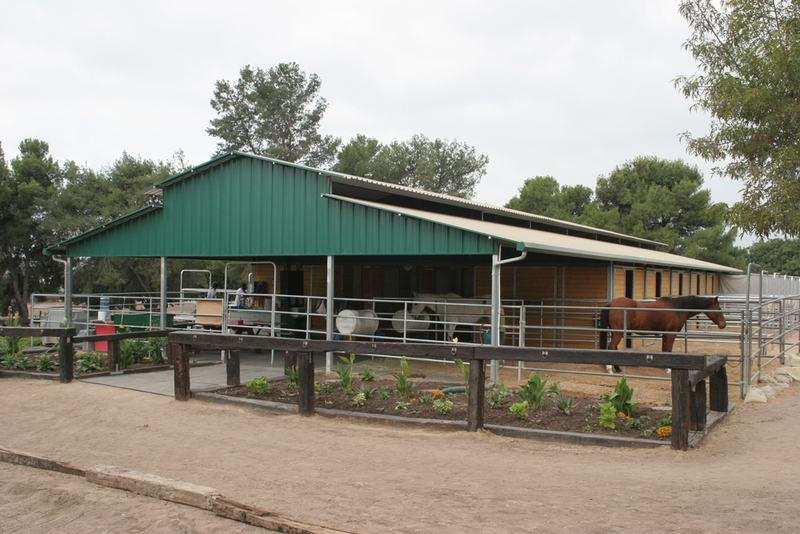 Aesthetically pleasing roof lines creates superior ventilation and a strong source for natural lighting. 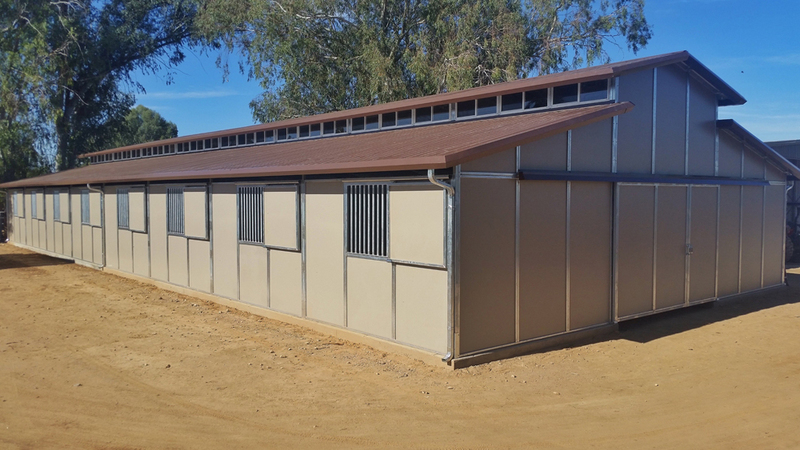 Optional RCA sliding windows with screens between the upper and lower rooflines provide ventilation control. 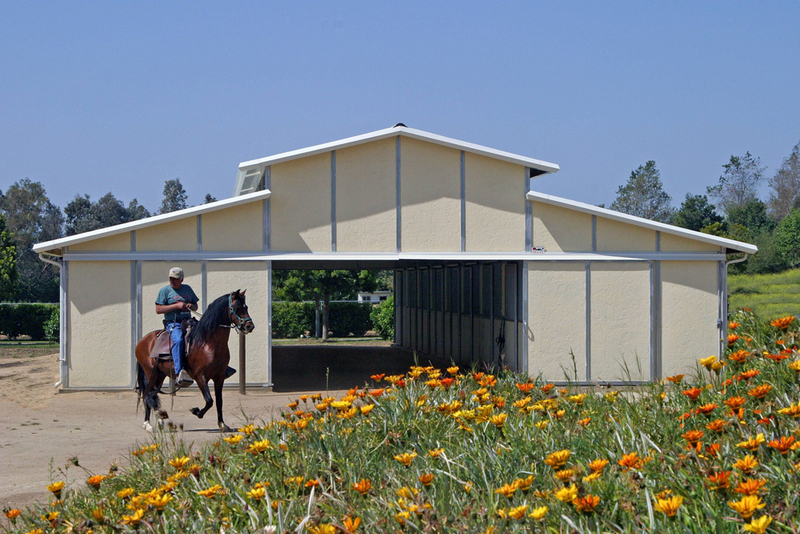 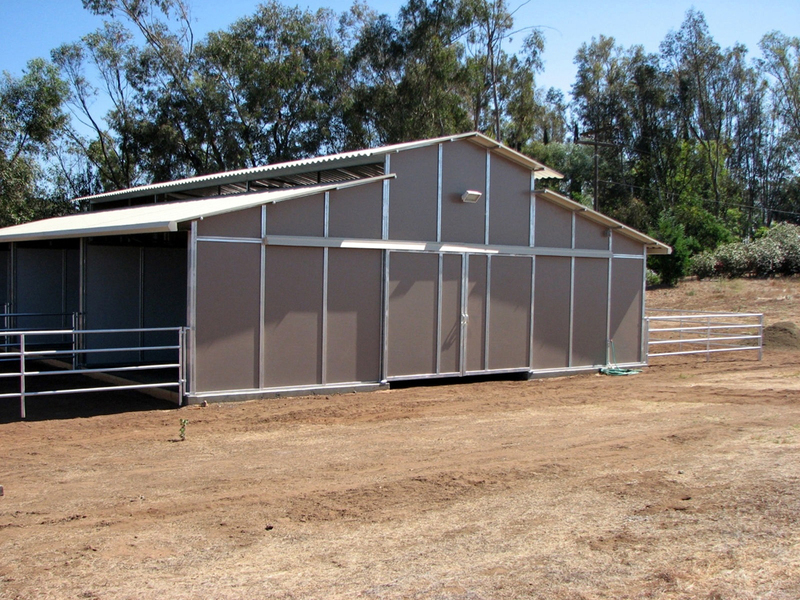 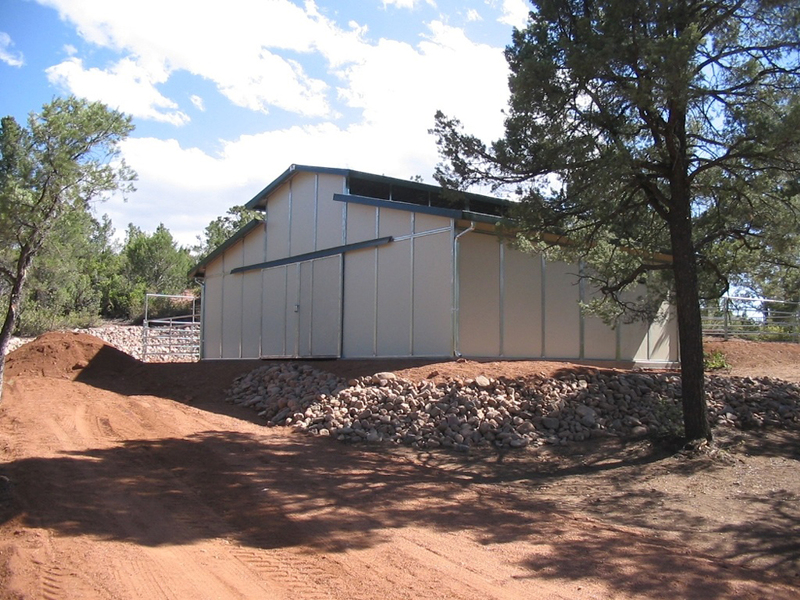 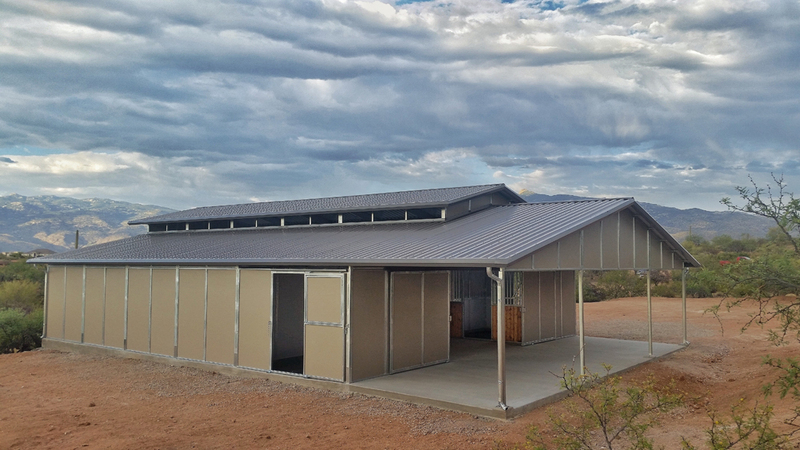 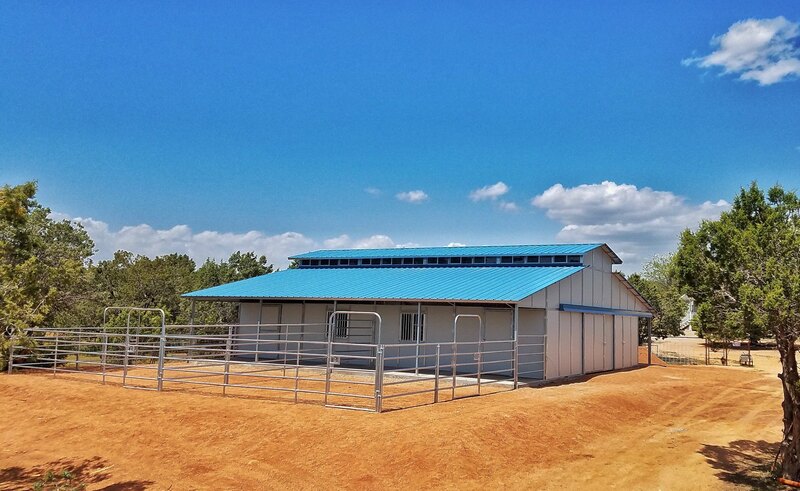 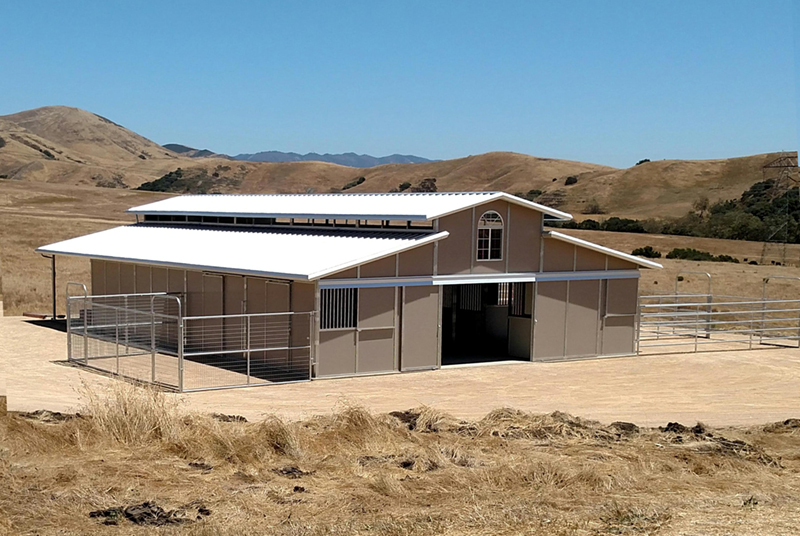 The Raised Center Aisle barn provides a weather protected healthy environment which can increase safety for your horses. 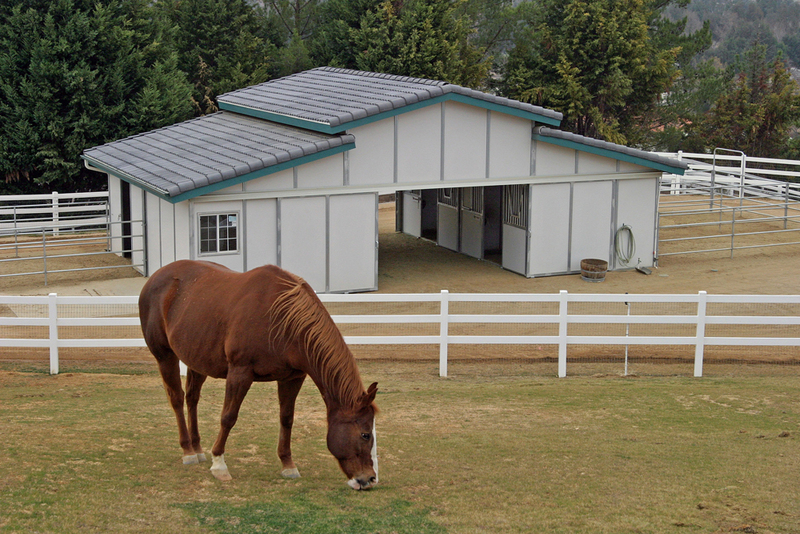 FCP offers countless design flexibility, exterior and interior wall and color choices and a broad selection of options. 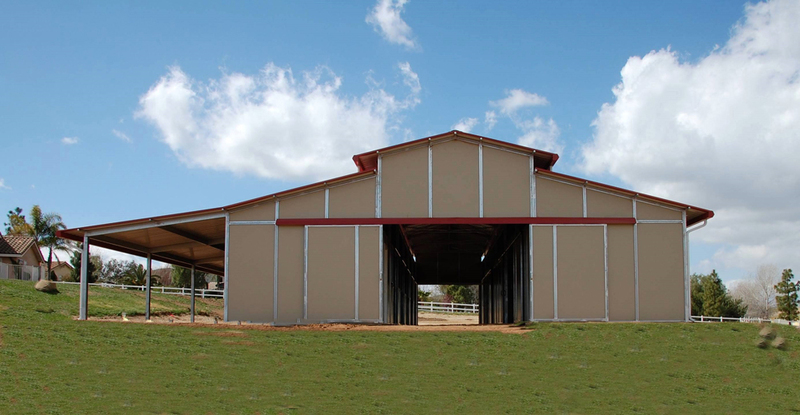 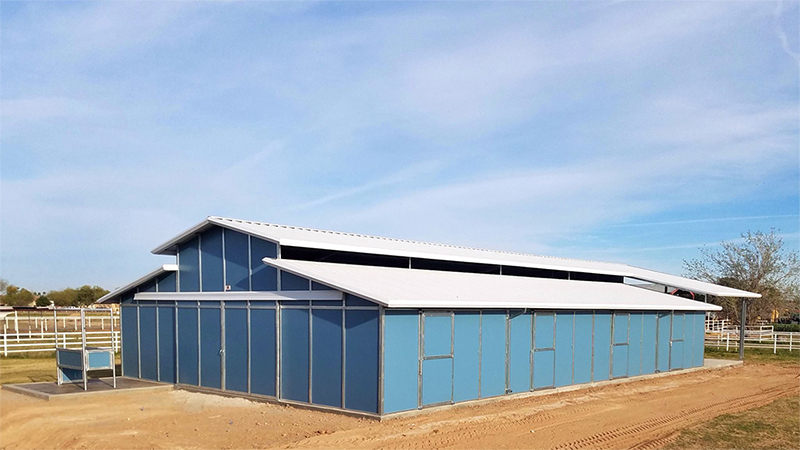 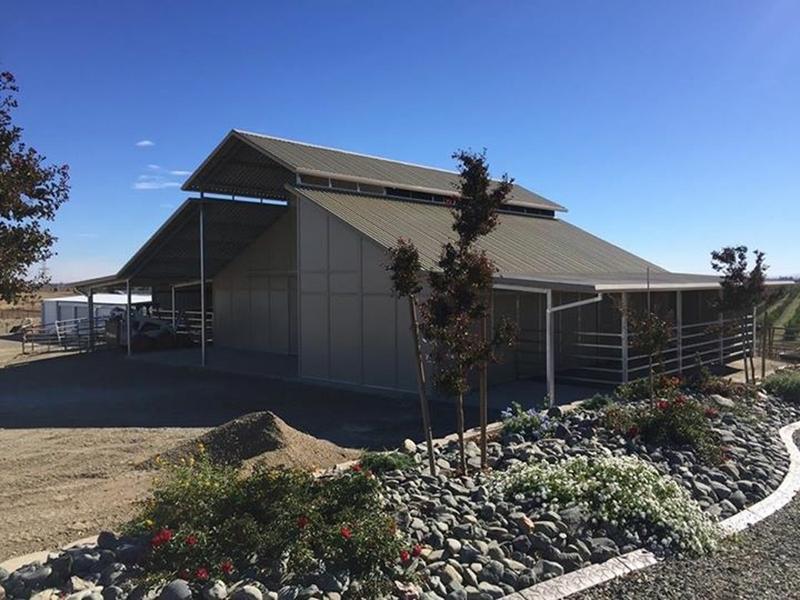 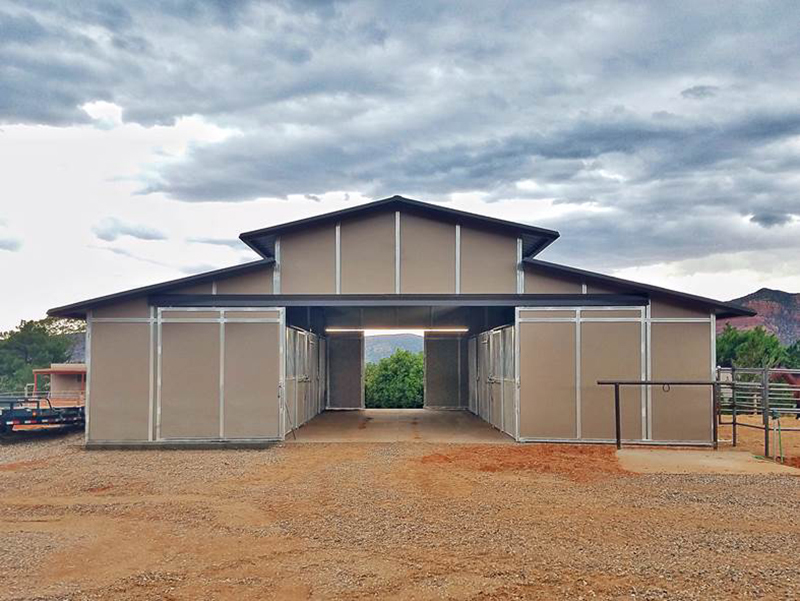 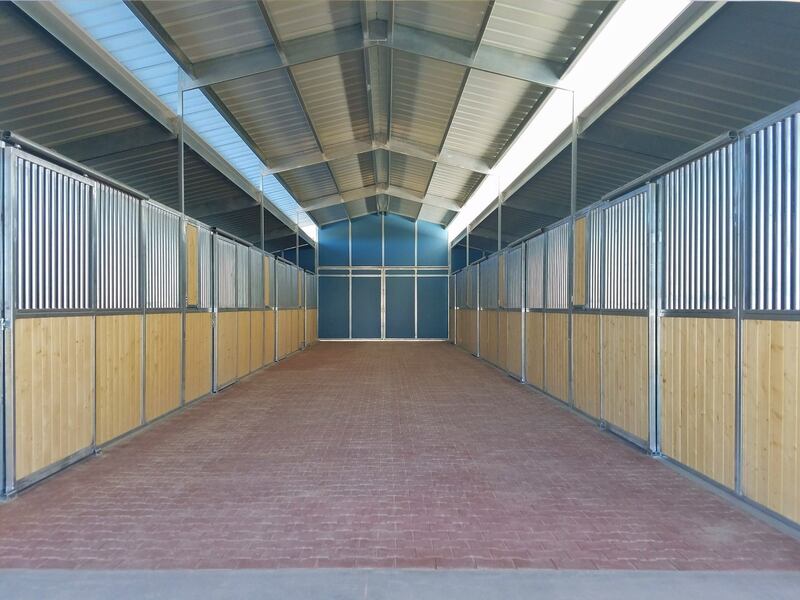 12’ or 16’ breezeway aisles, 3/12 to 6/12 roof pitch, and RCA or gable style porch options are a few of the many choices you can make when designing your FCP raised center aisle barn.